In the context of VPS, control panel is a tool to remotely access your VPS. 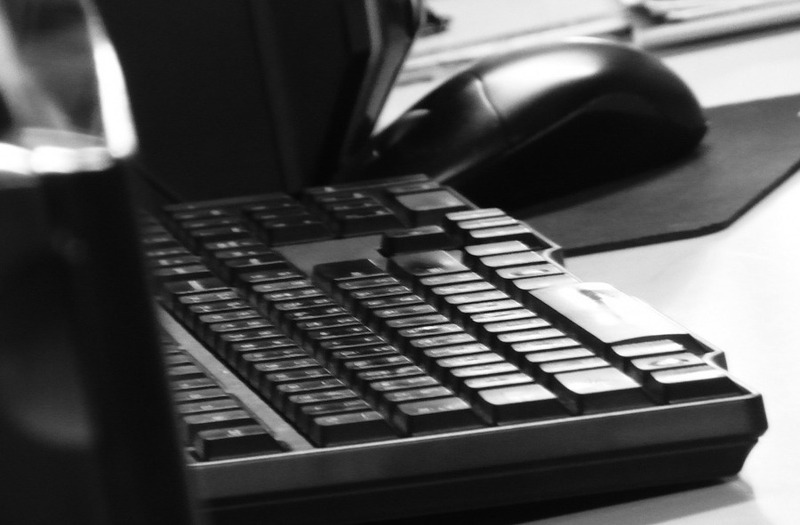 cPanel is arguably the best tool every server administrator can use. Even so, cPanel is not too good for bloggers or those who rent a VPS for running website for a small business. The reason is because you have to spend a monthly budget to use it. For bloggers or small business owners who is looking for a free control panel, there are several cPanel alternatives out there you can use without spending a dime. The interface (and also features) might not as fancy as cPanel’s, but they functionally are able to replace cPanel. CentOS Web Panel, for instance. This free control panel offers plenty enough of features. One of which the integration with Let’s Encrypt to allow you use SSL certificate for free. The interface is also easy enough to learn although — once again — not as fancy as cPanel. Following are 5 best free control panel you can use to remotely access your VPS. The first recommended free control panel you can use to access and manage your VPS is CentOS Web Panel. This control is built specifically for CentOS distro, but it also supports RedHat and CloudLinux. It’s probably the most feature-rich free control panel for VPS. As mentioned, one of the features you get from this control panel is free SSL certificate which is provided by Let’s Encrypt. What about features to manage your VPS? CentOS Web Panel comes with nearly all tools you need to manage your VPS. It has a handy panel to easily start/stop/restart such services as web server, FTP server, database sever, SSH sever to cron. If you have ever used XAMPP before, that’s the panel looks like. CentOS Web Panel also comes with a simple file manager to allow you manage your files. If you need to run certain commands via terminal, you can also do so. 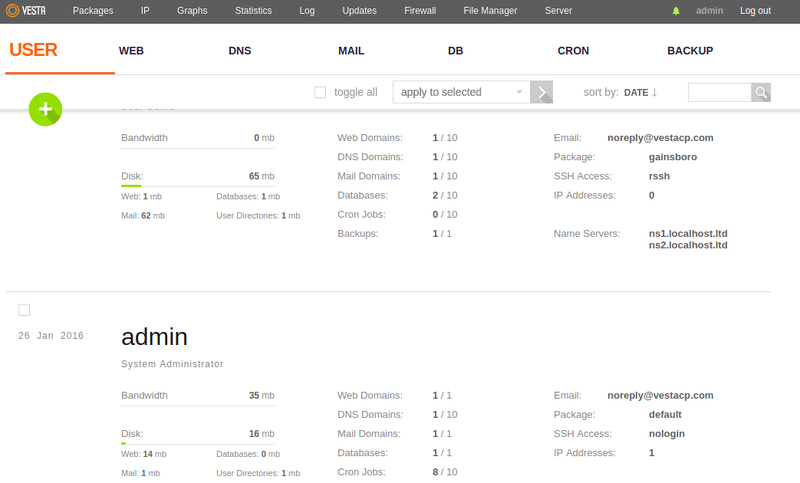 Furthermore, CentOS Web Panel also features add-on domain and monitoring tool. While CentOS Web Panel is built specifically for CentOS distro, you can give ISPConfig a try if your VPS use another Linux distros. ISPConfig doesn’t built specifically for a certain distro and it supports more distros than CentOS Web Panel. Some distros that are supported by ISPConfig include Debian, Ubuntu, CentS, Fedora and OpenSUSE. Even so, the developer of ISPConfig rather suggests you to use ISPConfig on Ubuntu and Debian. Functionally, the features offered by ISPConfig are not much different to CentOS Web Panel. It also comes with handy panel to control services like web server, FTP, database and cron. ISPConfig is an open source control panel. If you run a hosting business, ISPConfig can also be a nice cPanel alternatives since you can install ISPConfig Billing Module to add billing and invoicing features to the ISPConfig Control Panel. Froxlor is an open source free control panel that is licensed under GPL. The goal of this tool is to simplify the effort of managing your hosting platform. 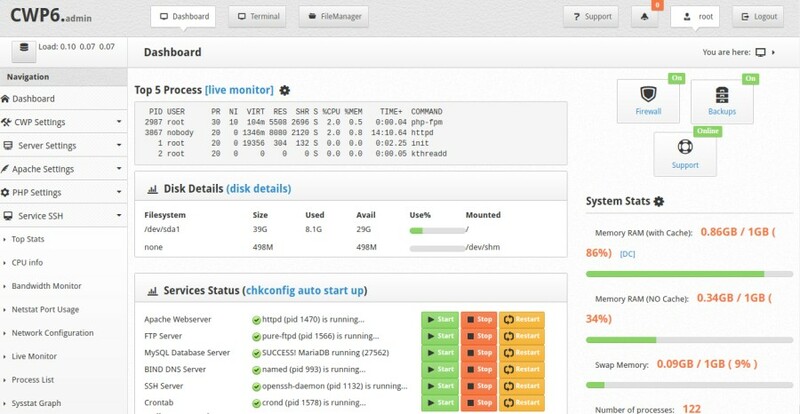 If you rent a VPS, you can also install this control panel for free. Same as CentOS Web Panel, Froxlor has also been integrated with the service of Let’s Encrypt so you can use SSL certificate for free. The interface of Froxlor is fancy enough. On front page of the dashboard, you can see the brief stats of your VPS like webspace, traffic, number of domain and so on. Froxlor gives you a freedom to choose the web server according to your need. There are three web servers offered by this tool: Apache, Nginx and Lighttpd. Before installing Froxlor on your VPS, you can also try its live demo first to figure out if it really suits your need. One of the reasons why web administrators love love cPanel so much is because Softaculous. Softaculous is an app installer. It has about 448 great scripts to allow you effortlessly install such popular apps like WordPress, Joomla, PrestaShop, phpBB and so on. 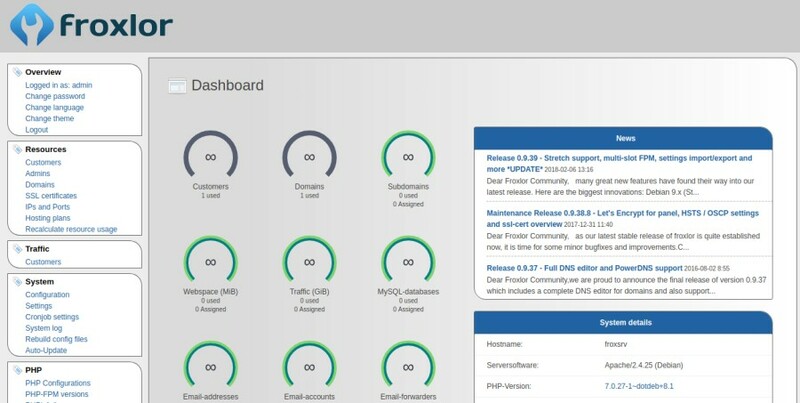 If you really think that Softaculous is an important feature, while you still unwilling to be a cPanel subscriber, then VestaCP is the control panel you are looking for. It is also free and open source with its source is available on GitHub. VestaCP is also feature-rich, probably richer than all control panels above. VestaCP is backed by a number of sponsors. Features like monitoring, panel to control services, file manager and backup are available. Furthermore, VestaCP is also integrated with Let’s Encrypt to allow you use SSL certificate for free. VestaCP itself offers premium supports as well as premium plugins. However, all core features are available for free. All four first control panels above are built for Linux machine. If your VPS uses Windows Server, you can try to use Webmin to control your VPS. However, the Webmin for Windows doesn’t come with full functionalities like the Linux version. Webmin is also capable enough for managing your VPS although the features offered by this tool might not as rich as all tools above. Webmin itself was written in Perl and released as an open source software. You can also use it to easily manage web server, database server, DNS and so on.